Yoga is a holistic practice to improve health. When you start your yoga session you will need to do stretch, reach, twist and other exercises to contort the body. Breathe is also a good yoga practice to intake more oxygen to the body. These are common commands that you may need to follow. There are other advanced yoga practice too. Among them what I like most is aerial yoga moves. You will need a yoga hammock to practice this aerial yoga. Nowadays most of the fitness center and gyms are taking classes of “How To Start Yoga” like Body Pump, Spin Class, Step Aerobics, and Yoga tossed in the mix. There are also may yoga studios that are dedicatedly training different art of yoga. If you want to start yoga practice then you can easily join the yoga class and that class can be found easily in towns and cities across the United States. It is best to start your yoga practice simply. We have given 4 basic yoga steps so that you can start your yoga moves easily. In yoga practice, the first and most important thing to do after holding the posture is to breathe. Learn how to breath to use during yoga so that your body becomes full of oxygen. Breathe in and out slowly through the nose into the belly. After the breathing session start brief meditation that will help to control your mind. Just Sit in easy pose, take a deep breath and focus on the breath. You also do prayer before meditation. It helps to gain positive energy in your body. Start basic yoga postures like stretch, reach, twist and other poses with warm-up sequences. Here are some simple postures that you can start such as seated twist, dog, cat, dog, child, cobra, triangle, mountain, forward bend. It is always better to end yoga session with relaxation pose like Shavasana. Shavasana is all about resting on your back and relaxing the body for 10-15 minutes. Note: “You will feel strange and awkward for the first time you start doing yoga but don’t worry this awkwardness will pass with the time and practice”. Best Yoga Mat is very essential to start a yoga practice. It provides great protection from the hard surface of the floor. Yoga mat also gives a gentle cushion for your hands and feet. It helps to avoid sliding and slipping during various yoga moves. A Mat Cleaner is an excellent Yoga gear. If you have a high-quality yoga mat then you do not want to disrupt the mat surface by cleaning it with household cleaners. Best Mat Cleaner will keep your mat disinfected for a long period of time. 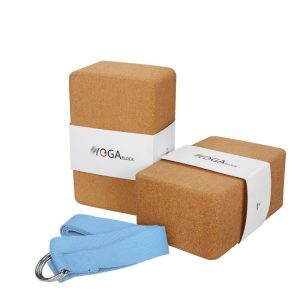 Yoga block is also an essential yoga gear that helps to provide an extra boost when flexibility doesn’t allow you to reach to the floor. Yoga Mat Bag is very advantageous for yoga. 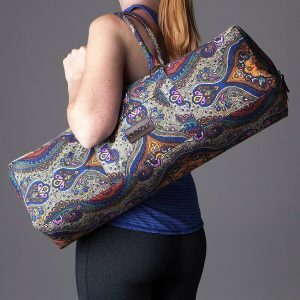 You can easily carry your yoga accessories in this best yoga mat bag. 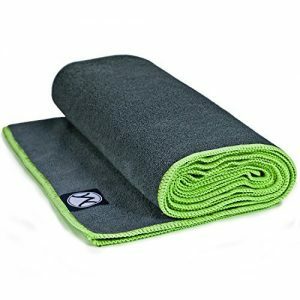 If you don’t want your sweat dripping off the face or affecting the grip of the hands and feet then you must get the best yoga towel. You will need this yoga towel especially in “Hot Yoga Practice”.